Want to get fitter, faster? ​A few spaces have opened up in my timetable for 1-1 consultations and follow-up rehabilitation/training sessions. Ideal if you're suffering with a long-term health condition that limits your mobility and ability to get out and about, as I come to you! Also perfect for post-illness recovery, when you might not yet be ready to attend a community-based class. And if you've been given physiotherapy exercises following a hip/knee operation and need extra guidance or motivation to carry them out properly and make the most of your new joint, I can help. Contact me for details now! Tuesday 3 April: Active Balance class at St Mary's Church Hall, Charlton Kings 2.30-3.30pm. Back the following week on 10 April. All other classes continue as per normal. The Oasis class to celebrate it's fifth anniversary! ​On Wednesday 21 March 2018, the Oasis class celebrated its fifth anniversary with a party after the class finishes at 11.30am. We'll played "pass the parcel" and also celebrated the upcoming 90th birthdays of Doreen and Diana, both long-standing members of the group! Wednesday morning's Active Balance class returns to the Oasis Centre, following refurbishment works over the summer holidays, on Wednesday 6 September. In the meantime we are meeting at St Barnabas Church at 33, Orchard Way (parking in the car park of the Umbrella public house opposite the church, while underground works are taking place in the church car park). Usual class time 10.30-11.30am followed by tea/coffee and biscuits. Thursday afternoon's Active Balance class is once again taking place at Rhodes Memorial Hall in Brockhampton, having temporarily moved to Whittington church hall while our usual venue was being redecorated. We will be meeting at Brockhampton as usual this Thursday, 31 August at 3pm. PLEASE NOTE: I will be having a few weeks off from my classes to recuperate following a total hip replacement operation scheduled to take place in early November 2016. Wednesday afternoon Sit Fit at Prestbury Library will be run by a combination of instructors, including Dan McShee (see above) and Angela Swales (another Move It or Lose It chair-based exercise instructor for the over 60s), depending on the week. Please contact organiser Jenny Boden on 01242 579097 or 07743 752911 in the first instance if you are interested in attending but haven't been before. Friday morning Active Balance class at Lefroy Court will be run by OTAGO and PSI instructor and cardio rehab specialist Trish Tenn, who can be contacted on 07956466617. ​​Free first aid training for the over 50s in Gloucs - apply now! Have you ever thought how useful it would be to have some first aid skills? Perhaps you've been in a situation where you would like to have been able to offer first aid but felt your skills were a little rusty, that you didn't feel confident enough to step in or maybe had concerns about your fitness or mobility? Funding has been made available for people aged 50+ to attend free 2-hr training sessions in everyday first aid, delivered by British Red Cross instructors in venues around Gloucestershire, in the coming few months. Each tailored training session is aimed at instilling confidence in those who feel that health issues (such as difficulty getting down to the floor to carry out resuscitation, for example) might hinder or prevent them from offering first aid in the first instance. Workarounds to the usual interventions will be taught as well as assessing when it is safe to offer first aid as well as how - useful skills at any age. Please note that this training is open to all over 50s in the Gloucestershire area, whether self-assessed as having physical impairments or not (and there's no obligation to be a member of one of my classes either)! Whether you've previously qualified as a first aider and want to brush up your knowledge or whether you're completely new to the idea, you'll be very welcome. If you - or someone you know - might be interested in attending, can you please contact me with your name, contact details and your postcode. You will be notified when a session is organised within a few miles of your postcode - if you are willing to travel further, please add this information along with your details. NEWS UPDATE: Training sessions have already been held at Lefroy Court sheltered housing association, St Mary's Parish Centre and at the Oasis Centre (all in Cheltenham) - sessions have been universally applauded by all the participants as being useful, helpful for those with mobility issues - and also great fun! It's almost time for our annual Christmas break! Classes will restart in the first week of January 2016, weather and health permitting! Please contact me if at all unsure. Our wonderful Oasis Centre exercise class recently raised £100 from donations given at a "soup and crumble lunch" held at a member's home and opened to the community. We wanted to support the vicar and congregation of St Aidan and St Silas' Church, which used to host our classes until maintenance costs forced the closure and demolition of St Aidan's earlier this year. The congregation has been rehoused at the Oasis Centre until sufficient funds are raised to rebuild the church on its former site and the Rev Philip Smith was delighted to accept our contribution towards the fund. Zest for Life "ages" a few decades! ​In order to understand better some of the health and mobility issues that can affect us as we get older, I donned an "age" suit at the Later Life Training Conference held in Coventry in November and attempted to navigate an obstacle course whilst wearing it. The outfit replicates some of the mobility issues faced by someone with a combination of eye disease, osteoporosis and arthritis. It was quite an eye-opener! The conference brought delegates up to date in various areas of research into the effects of evidence-based exercise (which all of us LLT-qualified instructors are trained to deliver) on conditions such as heart disease, osteoporosis, Parkinsons Disease and so on. There were also fascinating seminars held on themes such as frailty and how it is measured - did you know that age does not automatically equate to functional deterioration? In other words there is huge variation between the capabilities of older people (a 70-yr old can function as well as a 50-yr old but also might only be as able-bodied as a 90-yr old) and that this can be significantly improved no matter how old you are when you start? I also attended workshops designed to reinvigorate our practice and to throw a few new exercise ideas into the mix - so regular attendees of my classes may notice a few subtle changes to our weekly sessions! Do come and join us and begin to reduce your biological, if not chronological, age! To celebrate National Older Person’s month, the Cheltenham Trust is hosting an Activity, Health and Wellbeing Day at Cheltenham Town Hall for people aged over 50 on Thursday 29 October 2015, 11am-3pm. The day will encompass all aspects of health, with information and resources from a range of organisations as well as a host of interactive activities to try out. Visitors can expect art and craft making, workshops, artefacts from The Wilson Museum, historic photographs of Cheltenham, exercise sessions, singing and a tea dance. What’s more, free hot drinks and lunch will be provided, with transport available to help those who require support to attend. Contact 01242 775202 for more information and to book. We have recently acquired a sparkly range of pom poms to play with and several classes have already devised some fabulous cheerleading routines! Cheerleading is a great way to improve stamina, co-ordination and movement range and can be enjoyed sitting down as well as standing up. Dance Journey has a new home! Dance Journey's new venue is the Bayshill Unitarian Church in Royal Well Lane, Cheltenham GL50 3DN. Close to the Promenade and to the Royal Well Bus Station, where there are buses arriving from all parts of Gloucestershire as well as further afield. So no problems getting to the venue! More details on our Dance Journey Fridays page. St Aidan's exercise class is moving! to a new purpose-built venue nearby. We're moving next door to the Oasis Centre (formerly the YMCA sports centre and entered from Cassin Drive opposite Gloscat College) for our classes as from Wednesday 22nd April 2015. If YOU would like to enjoy better mobility, balance, strength and confidence in your movement, it's not too late to take advantage of my mad March offer of a 1-1 session at 25% DISCOUNT or a complimentary class without obligation. Book a class or consultation before the end of the month to experience it for yourself. Contact me now for further information or to arrange your session. A BIG thank you to everyone who contributed to our fundraising efforts before Christmas. As a result, we were able to donate £70 towards Cheltenham's Food Bank and £70 towards Cheltenham-based Suicide Crisis Centre, both of which rely entirely on donations to run their services to the community. Next week is Party for Charity week here at Zest for Life! Come along to our Active Balance class on Tuesday 9 December or Sit Fit class on Wednesday 10 December to join in the fun and raise money for Cheltenham Food Bank and the Suicide Crisis Centre. Active Balance will be held at St Mary's Parish Centre, New St, Charlton Kings, Cheltenham 2.30-3.30pm followed by tea/coffee and various home-made refreshments till 4.30pm - join us for the class or just join in the celebrations afterwards! Sit Fit will be held at St Aidan's Church, Coronation Square, Cheltenham from 10.30-11.30am followed by tea/coffee and various home-made refreshments till 12.30pm. More details on each venue on our classes page. 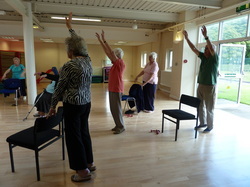 Event for Older People's Day in Cheltenham on Thursday 9 October - try a free Sit Fit class! In support of the UK's Older People's Day (officially held on 1st October 2014), there will be various events happening in Gloucestershire over the coming week to celebrate the achievements of older people and to encourage the maintenance of health and wellbeing. Zest for Life will be offering free taster Sit Fit sessions on Thursday 9 October from 2.30pm in Beechwood Arcade, Cheltenham as part of the "Full of Life" pop-up event from 10am until 4pm. Various other free activities will be taking place, including choir performances, a ukelele flashmob, tabletop badminton and photo quizzes as well as advice and literature on offer from organisations that support older people. Come along - and bring your friends! Set up by the Meniere's Society, the aim of the week (held 15 - 21 September this year) is to raise awareness of vestibular disorders, help people find the support they need and encourage vital research into these conditions. If you would like to know more about this, and the activities planned, please visit the Meniere's Society webpage for more information. The beginner level Active Balance class at Cheltenham leisure centre on Tommy Taylor's Lane has acquired sponge balls to help with mobility and strength building. This class runs 12-1pm on Thursdays. Come and join us! Happy 100 - and still going strong! We recently wished a Happy 100th Birthday to Mavis, member of the Lefroy Court Sit Fit Group. hand-written thank-you note, Mavis claimed it was the best party she'd ever had! We'd like to think her weekly exercise group has played a part in keeping her in good health and we wish her many more happy, healthy years to come. Following a month-long summer break, this weekly class will resume as usual in Prestbury Library, 2.30-3.30pm, followed by free tea and biscuits. Open to all, regardless of fitness or mobility. Cost £3 per class (no booking required). Seated exercise to music, flexibility, strength and co-ordination exercises. More details available on Sit Fit classes page. DANCE JOURNEYS STARTING IN CHELTENHAM! Dance Journey, a new dance group for adults of all ages and mobilities, begins in Cheltenham on Friday 2 August, 7.30-9.30pm at Harwood Hall, Christ Church, Malvern Rd, Cheltenham, GL50 2JH (see map below). Book all 5 fortnightly sessions in advance and receive a generous discount - PLUS, you can bring a friend along for FREE to one of the sessions! Prices on the door: £9/£6 concessions (for unwaged, students and those on low income). Go to Dance Journey's website for more details and to book online. ...this year takes place 17-23 June, supported as always by AgeUK. 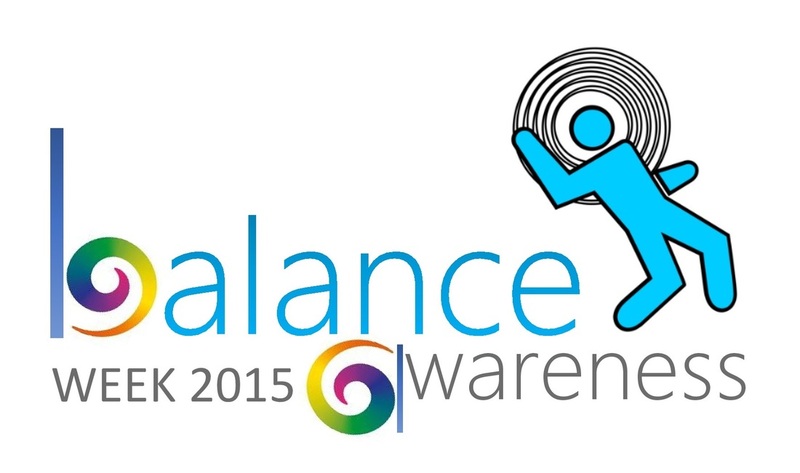 This year's theme is "foot health" and how this contributes to maintaining our balance. Locally, there will be a falls awareness event taking place on Wednesday 19 June, 10.30am - 2pm, at Lynworth Court, Mendip Rd, Cheltenham, GL52 5DZ (see map below). Come to the Isbourne Centre Open Day on Saturday 18 May to sample a free sit fit class with Jo-Anne at 11.30am, undertake a personal "functional MOT" to find out whether/how to improve your strength, flexibility and balance AND obtain advice on how to use resistance bands in your exercise routine safely (bands and exercise sheets also available to buy on the day). Not to mention all the other goodies on offer in the form of free talks and seminars, therapy sessions and workshops, including bellydance and pilates...Children will enjoy the free kiddie craft activities and everyone can join in the great Cake-Off fairy cake decorating competition! PS The Open Day is FREE to attend! SIT FIT COMES TO ST MARK'S, CHELTENHAM! "Sit Fit" chair-based exercise to music taster sessions will be taking place at St Mark's Methodist Church Hall on Gloucester Rd, Cheltenham (near the railway station) on Tuesday 23 April and Tuesday 30 April, both starting 10.30am. Cost £4 - and bring a friend along to either of these sessions for free! Go to Sit Fit classes page for more information about sit fit classes and contact Jo-Anne directly to book your place.